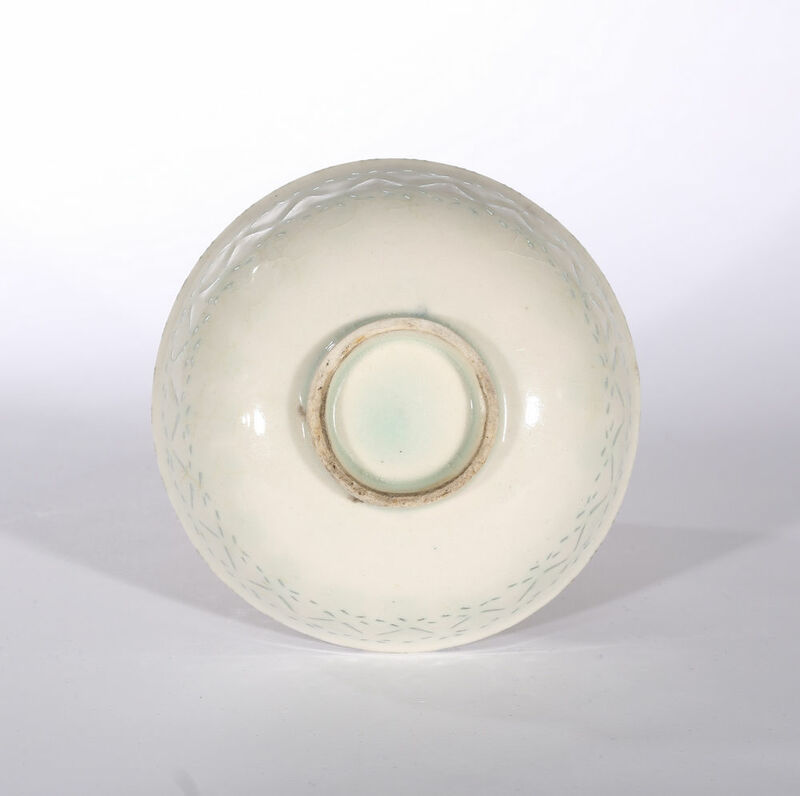 Of footed shallow form with raised central boss within three black flower sprays, the border with a pierced geometric ‘rice-grain’ design under a clear translucent glaze. The rim is edged with black dashes in groups of three. 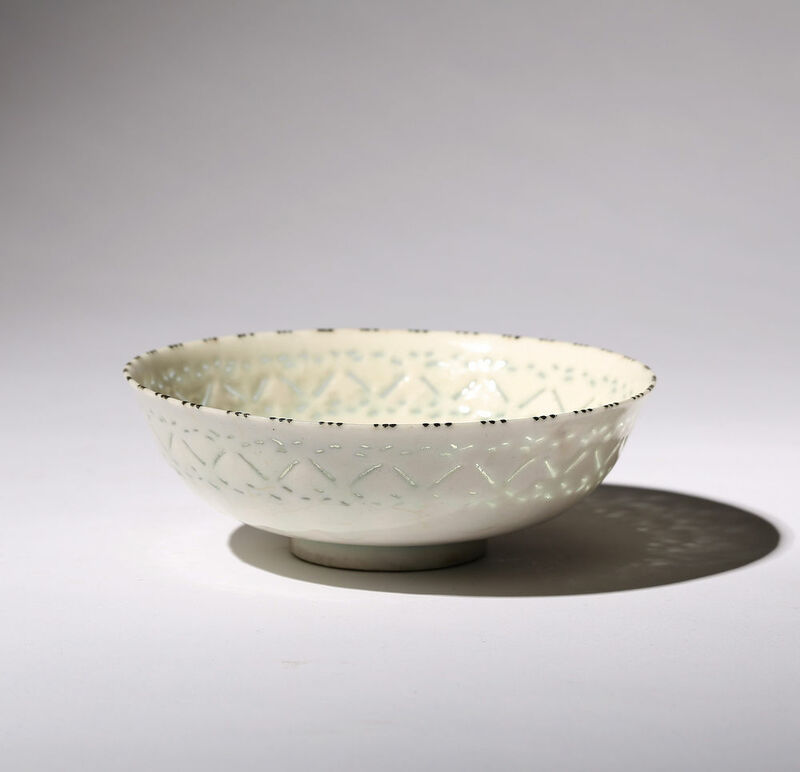 The term Gombroon is used by European collectors to describe a type of Iranian pottery distinguished by its well-vitrified, fine, hard, white and translucent body. Gombroon is the name of Bandar-e Abbas, the main trading port on the Persian Gulf. 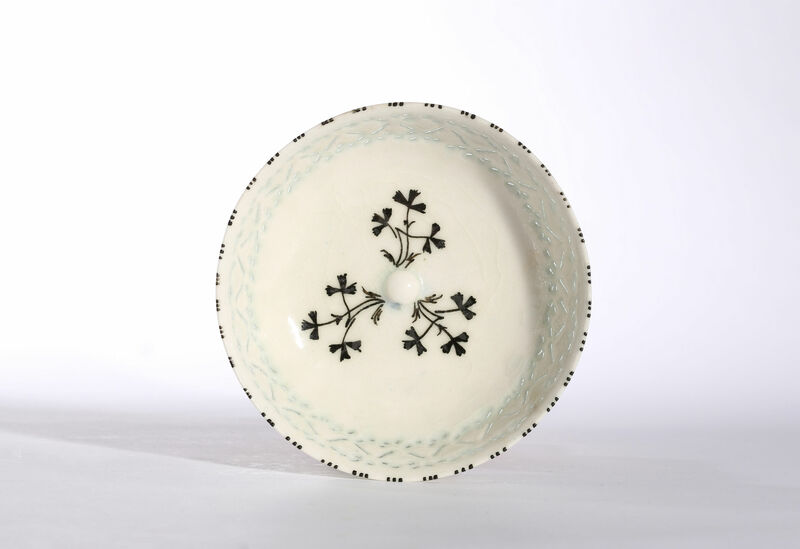 It is the closest that Islamic pottery comes to imitating the qualities of Chinese porcelain. The translucency of the body is accentuated by the glazed piercings, it has sometimes even been described – with some justification – as a soft-paste porcelain. A very similar example from the Gerald Reitlinger Collection in the Ashmolean Museum (1978.1765) is illustrated in Eastern Ceramics and other works of Art from the collection of Gerald Reitlinger, (1981), number 354.